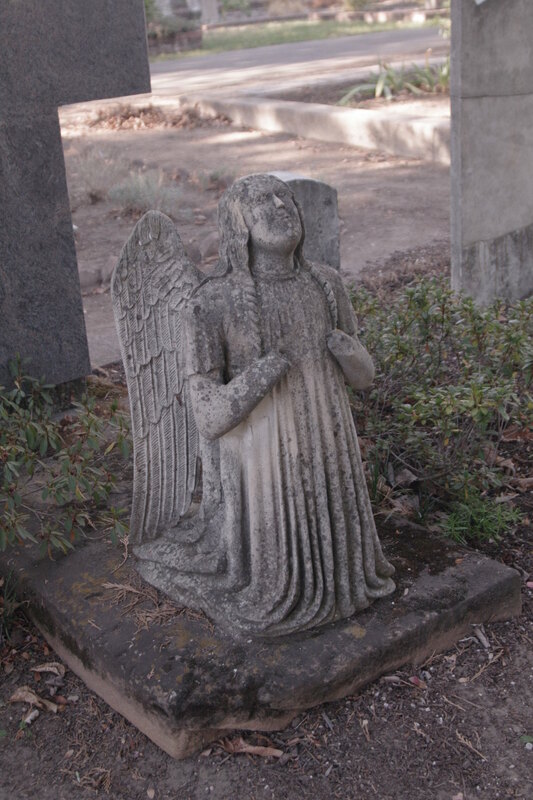 This weekend my daughter and I took a walk in the Old City Cemetery in Sacramento, CA. 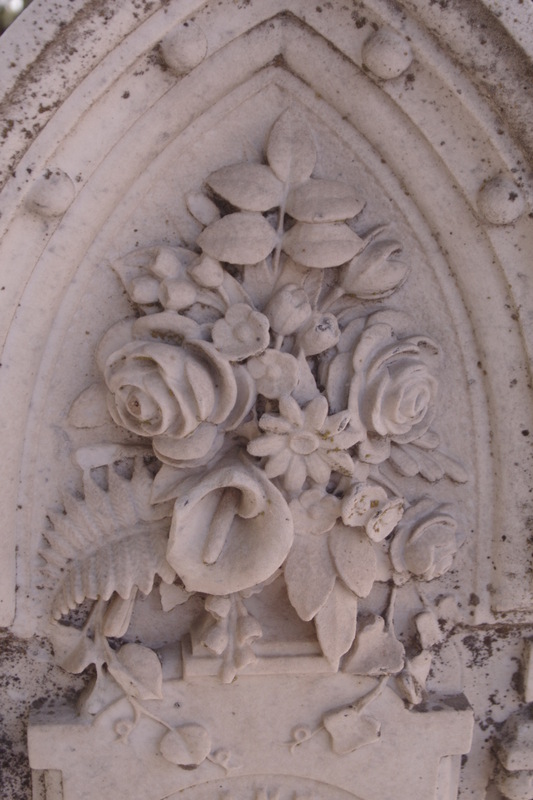 It was a beautiful day to be out among the flowers and stonework. This is a large lovely space on the edge of downtown. 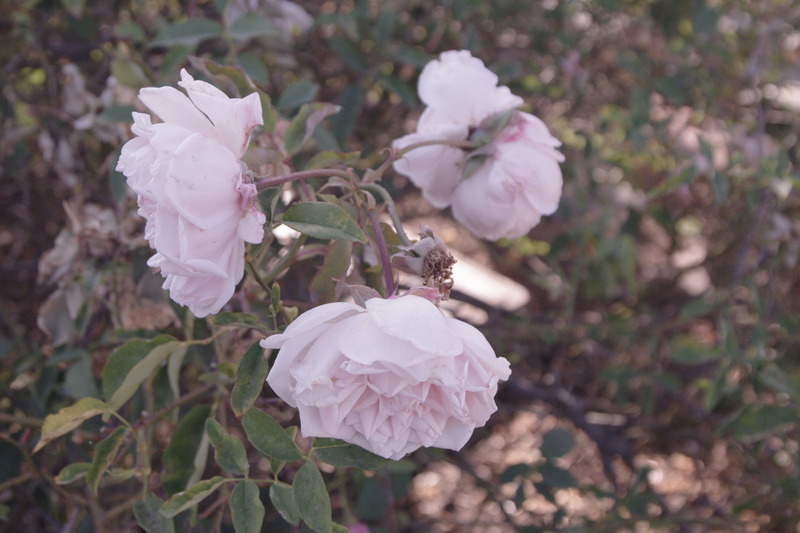 One gets lost in the peaceful spaces. Whenever I’m there I think of people I once knew, but I also think of the future. I doubt if there are any ghosts there. It never feels like it and none have ever shown themselves to me. 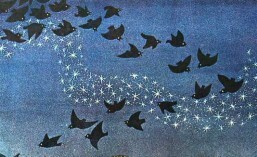 Just memories of life and love. 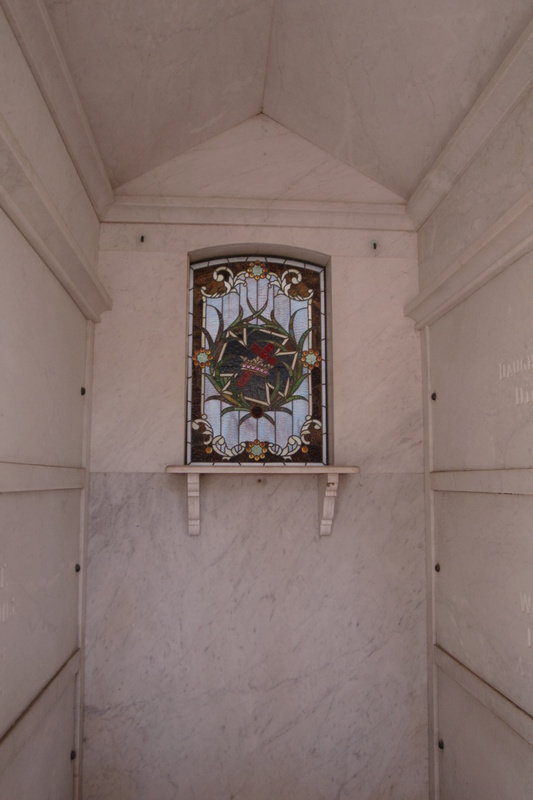 Clara was fascinated by the mausoleums. 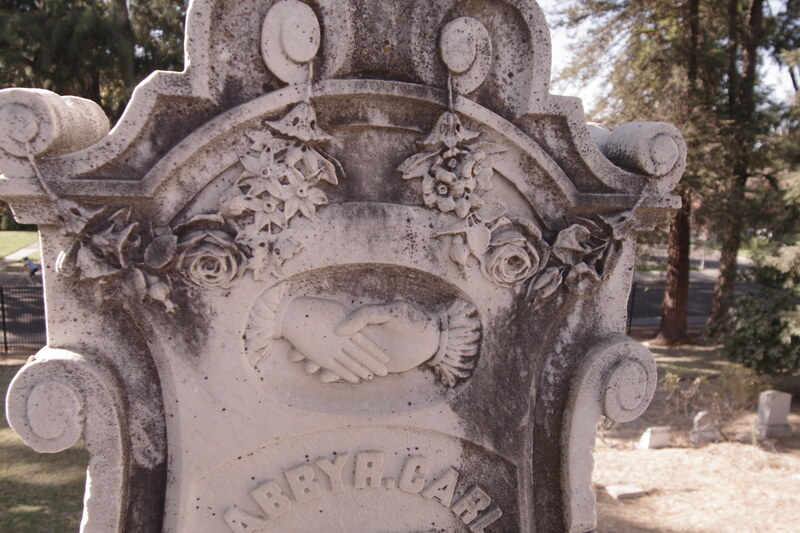 We both wondered at the beauty of the carvings and the stories the monuments told about those who were buried beneath them. And there are no Vampires there. 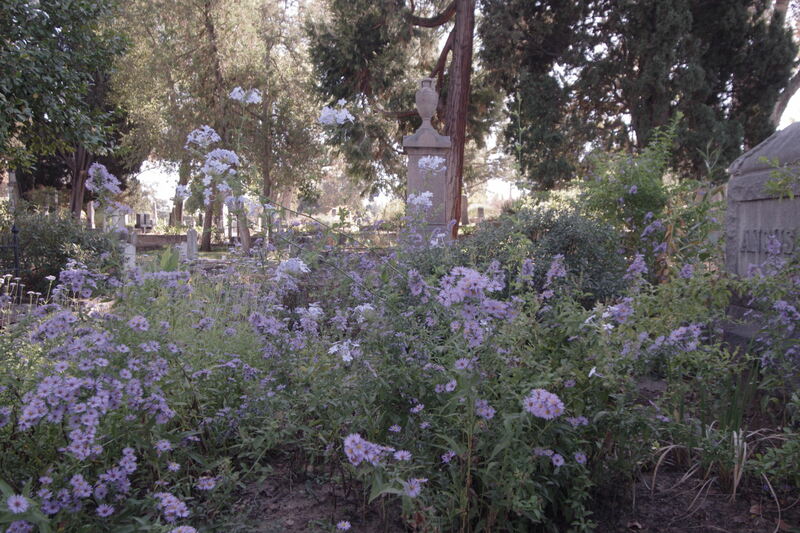 We don’t live in cemeteries. 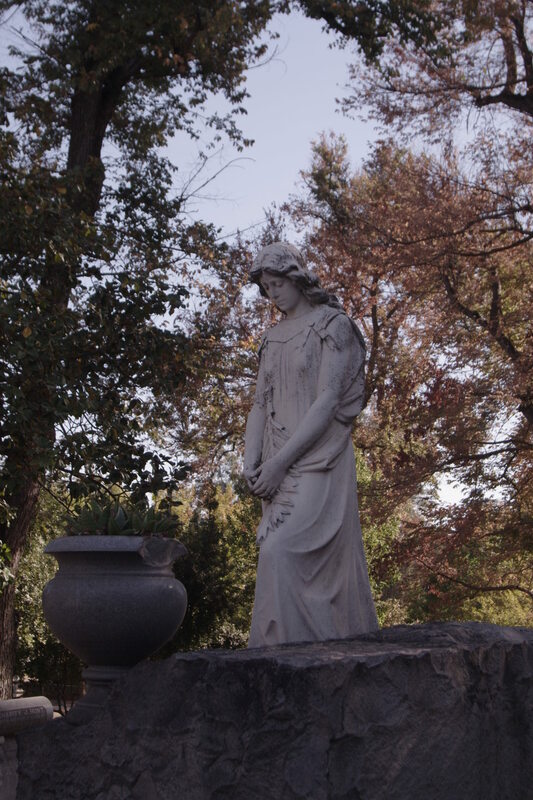 A complete listing of everyone buried there can be found on the web site along with other historic information, location and visiting hours, plus parking information etc. 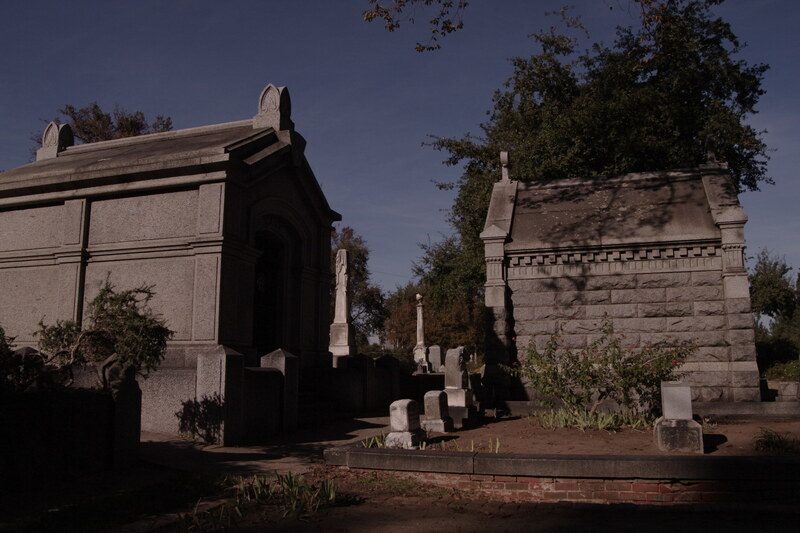 Unfortunately the Halloween Lantern Tours for this year have sold out. 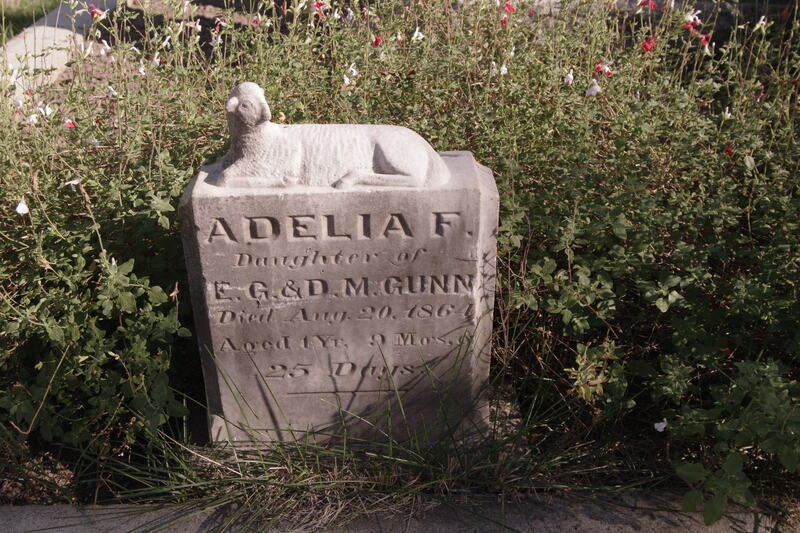 It is a really lovely place and worth the time to take a significant bit of California history. 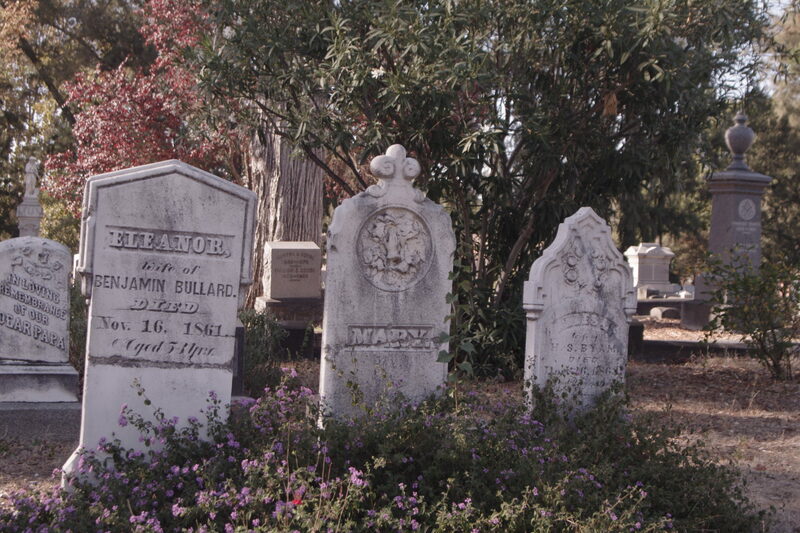 Prior to the establishment of the City Cemetery in 1849, burials were conducted in an area not far from Sutter’s Fort, but its lower elevation and closeness to the American River caused it to flood frequently. 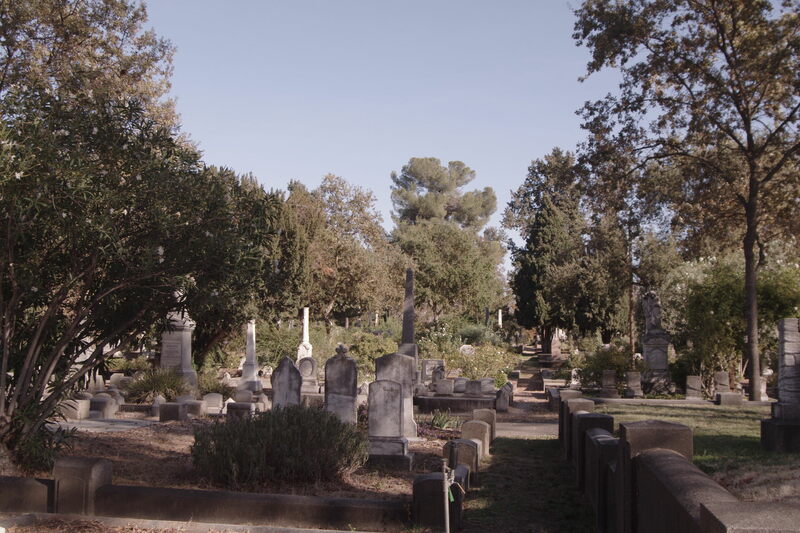 These old grounds, however, continued as a privately operated cemetery, named New Helvetia, for some twenty-five years before reverting to the city. 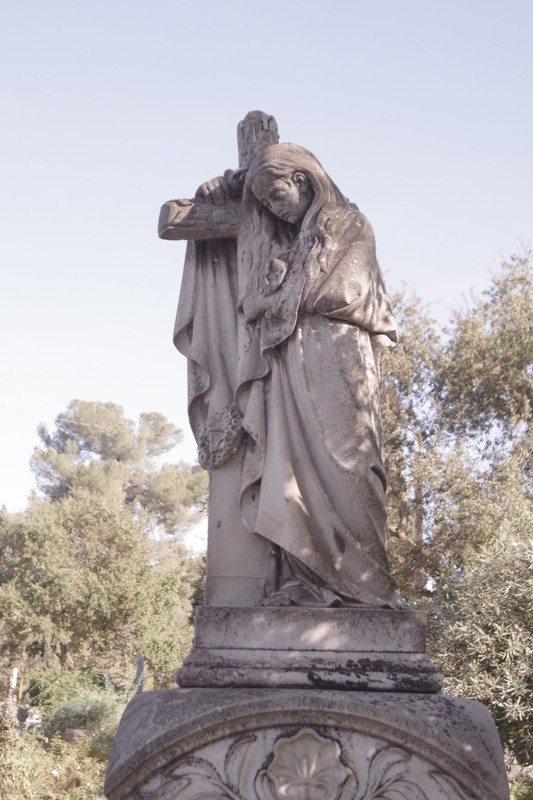 Over the years, tombstones and monuments were removed, vandalized and even stolen. 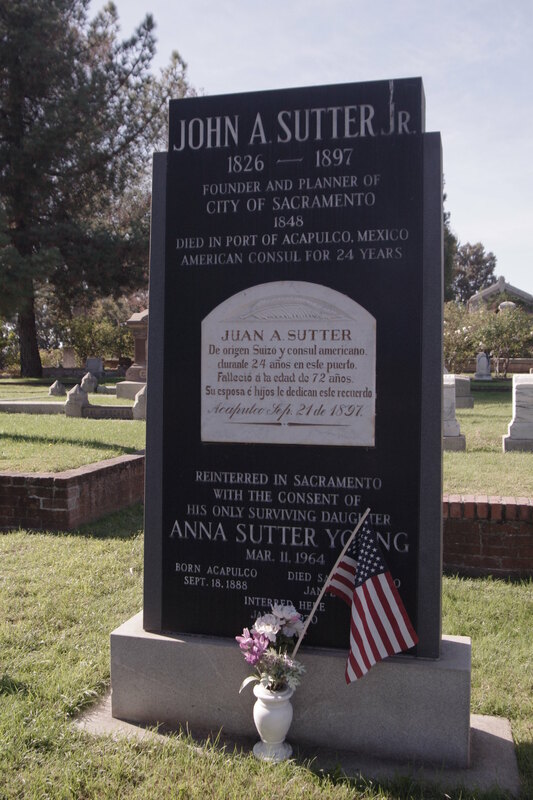 Eventually, in the 1950s, the city authorized the construction of Sutter Junior High School (now Sutter Middle School) on the site – Alhambra Boulevard to 32nd Street, I to J Streets. 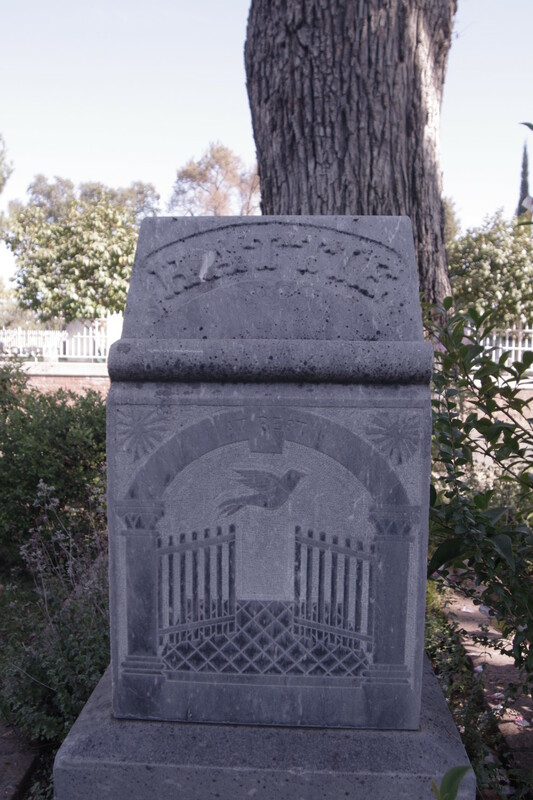 A historical marker can be found at the edge of the sidewalk along Alhambra Boulevard. 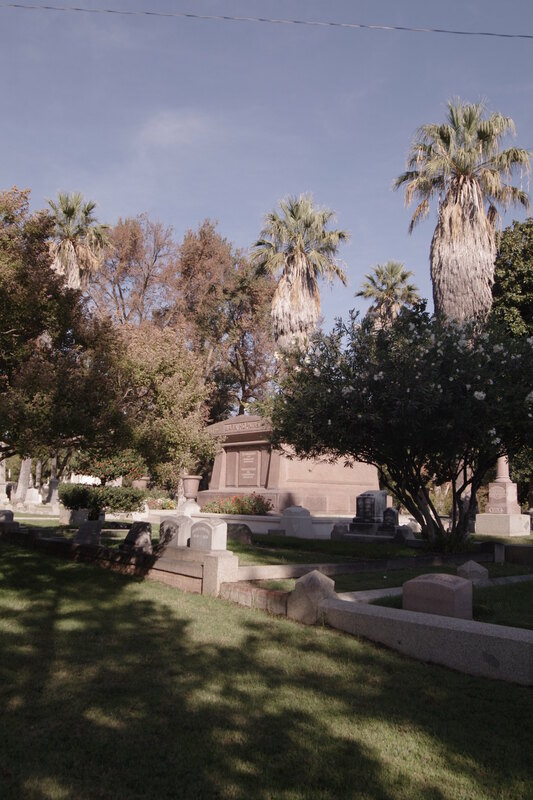 Unclaimed remains were re-interred in special plots at both the City Cemetery and East Lawn Memorial Park on Folsom Boulevard. 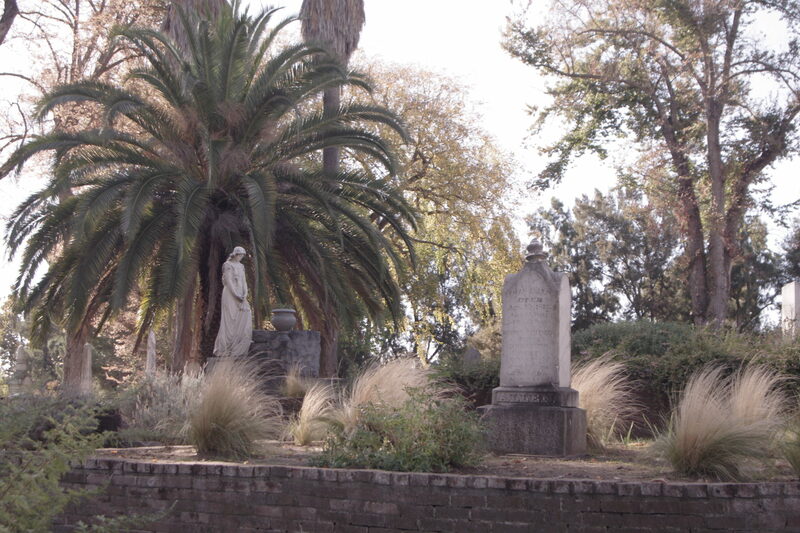 The Sacramento City Cemetery was established in 1849 with a donation of 10 acres by Captain John Sutter. 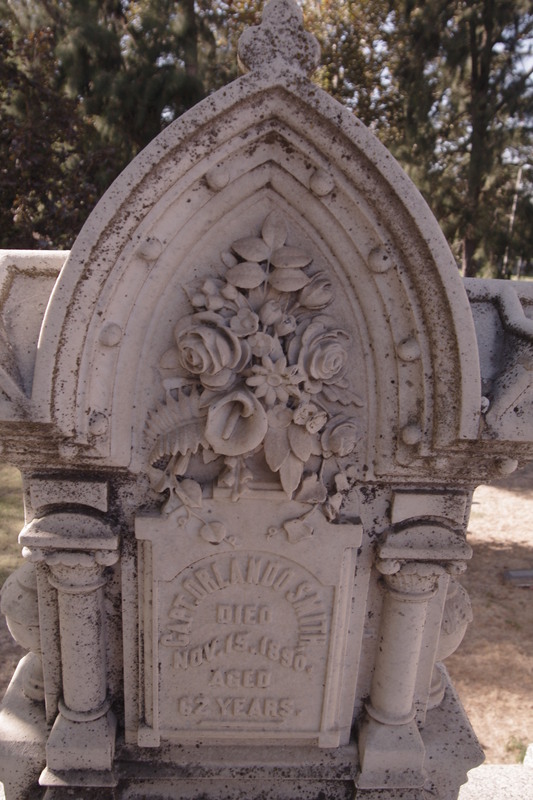 The cemetery follows the Victorian Garden style, popular throughout the mid and late 1800’s. 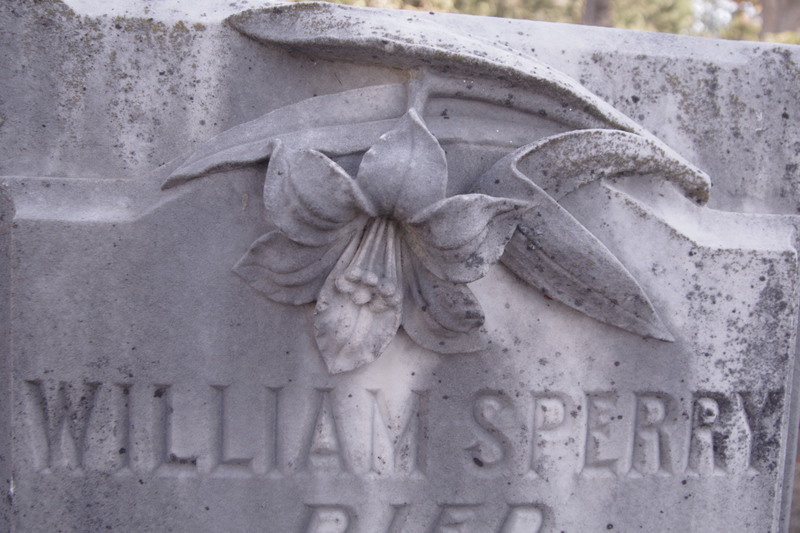 Among the first interments in the City Cemetery were over 600 victims of the 1850 Cholera Epidemic. 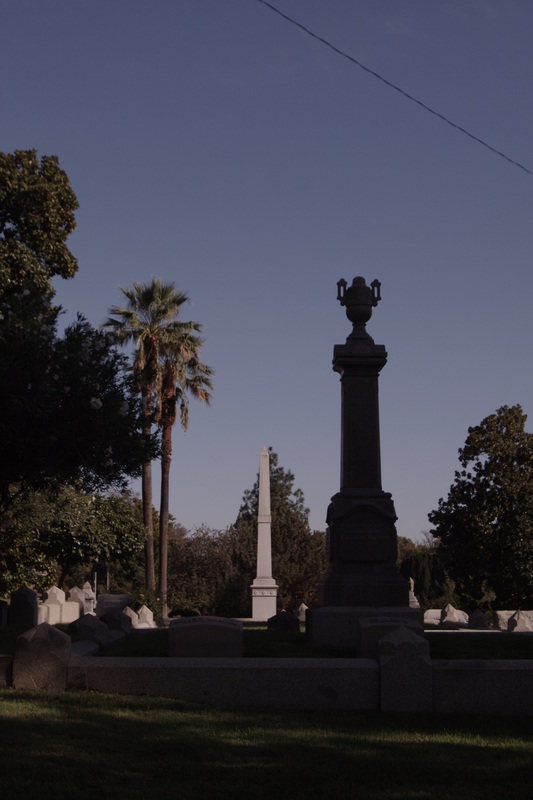 Today, the Old City Cemetery is the final resting place of more than 25,000 pioneers, immigrants, their families and descendants. 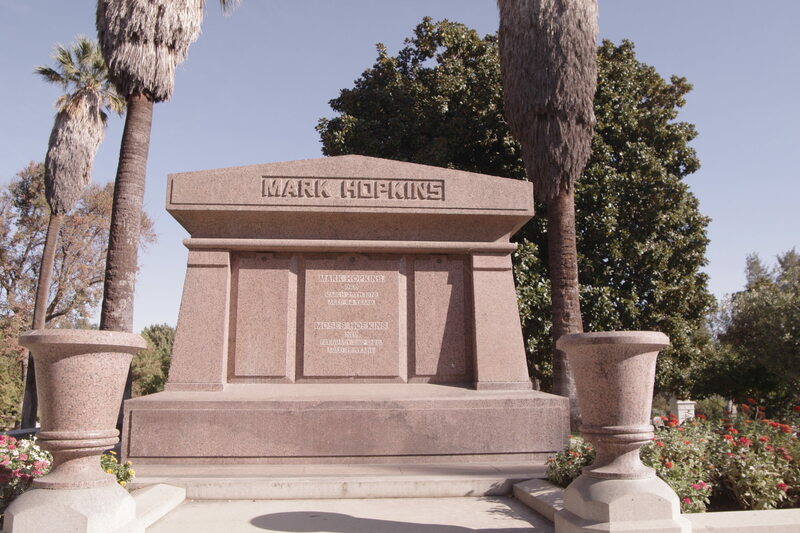 Among the more notable are Captain John A. Sutter, Jr., Sacramento city founder; lawyer and art collector E. B. Crocker; storekeeper turned railroad mogul Mark Hopkins; William Stephen Hamilton, the son of Alexander Hamilton; three California governors and many of Sacramento’s earliest mayors. 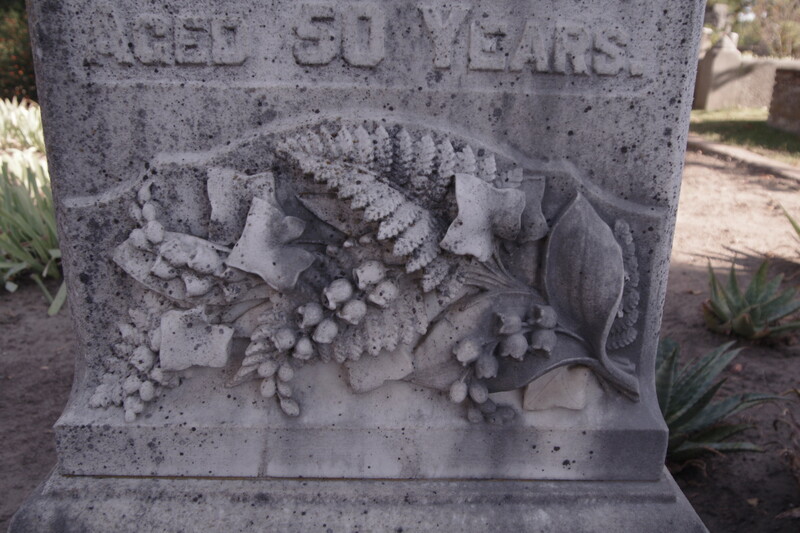 Many changes have taken place over the last 150 years. 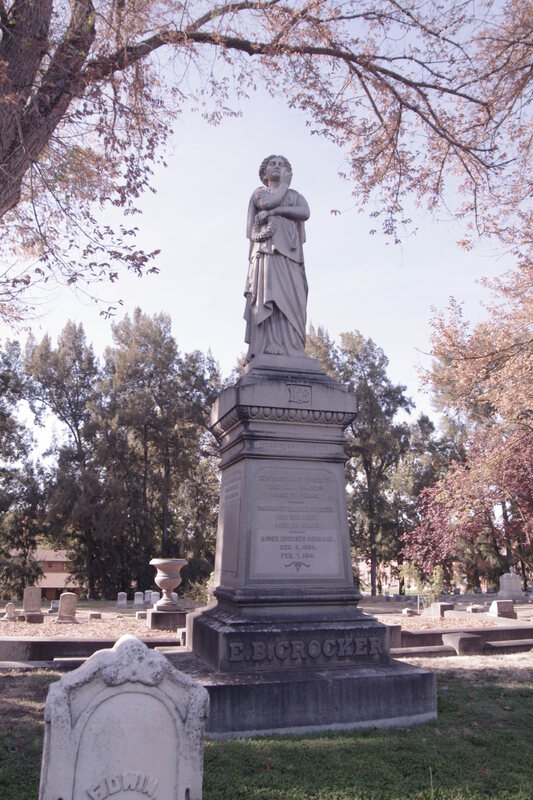 The cemetery continued to expand through 1880 when Margaret Crocker donated the final acreage on the hill, bringing the cemetery’s land holdings to nearly 60 acres. 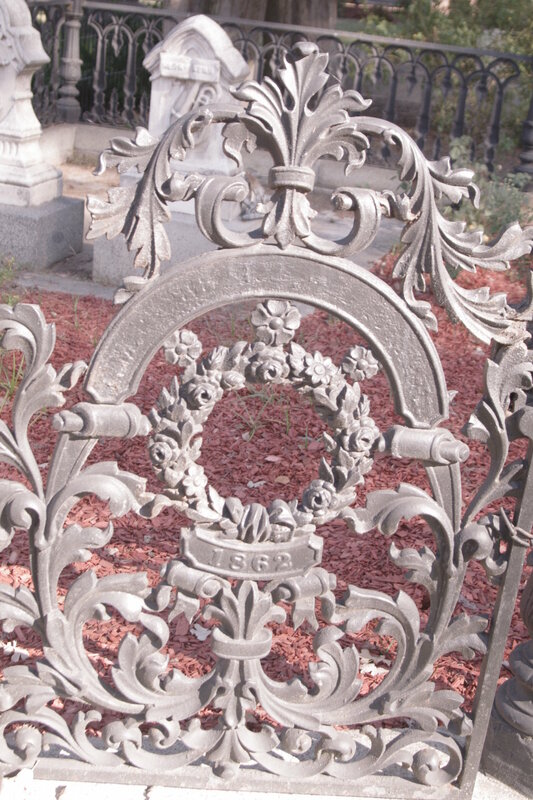 At one time, a greenhouse built by Mrs. Crocker, the Bell Conservatory, overlooked the cemetery along what is now Broadway. 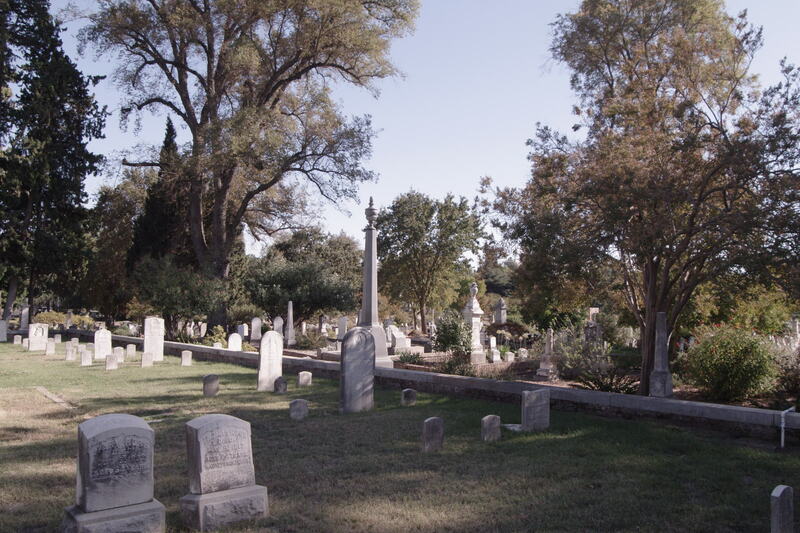 Today the cemetery covers approximately 44 acres and is the final resting place of over 25,000 individuals. 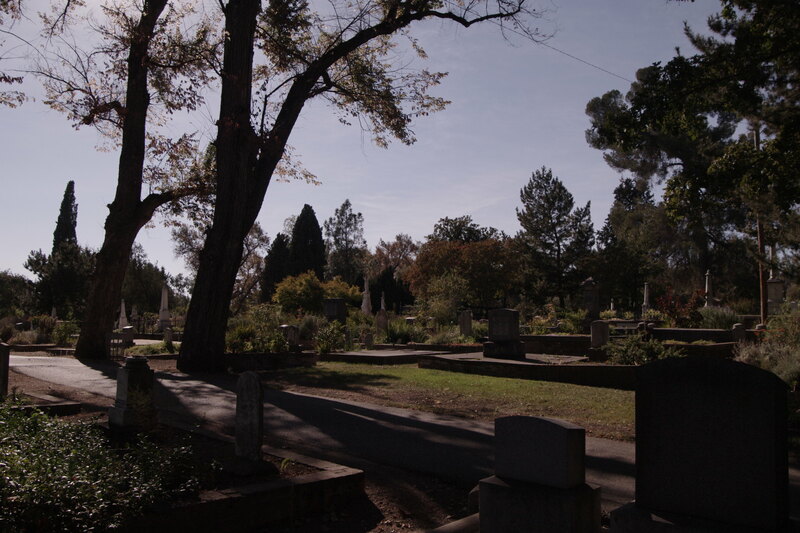 Thousands of early settlers are buried in the Historic City Cemetery. 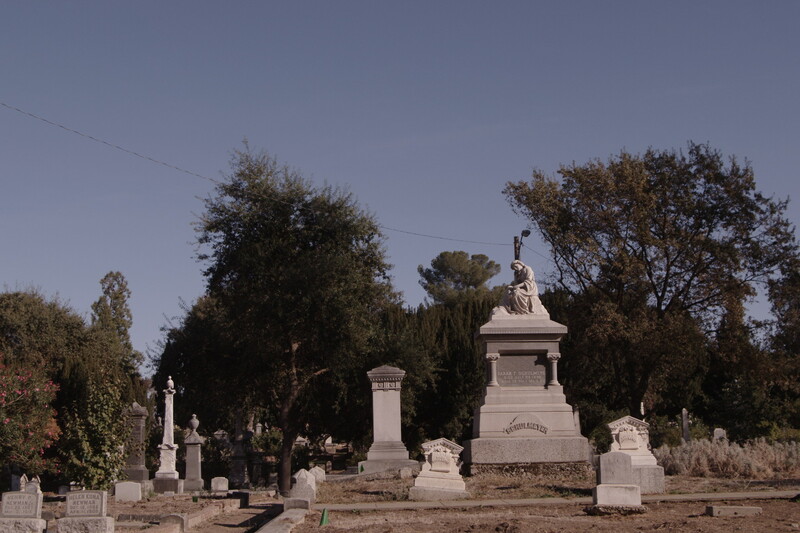 They represent the historical and cultural diversity of Sacramento. 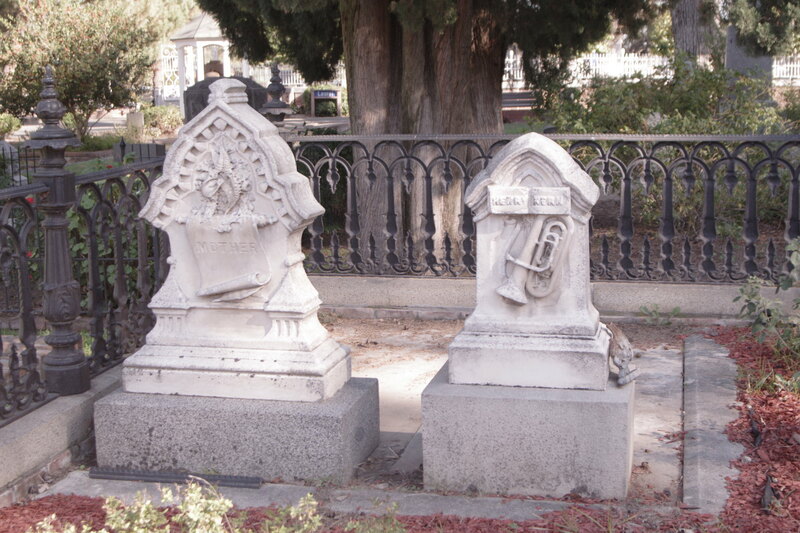 The monuments are symbolic of Victorian funeral customs. 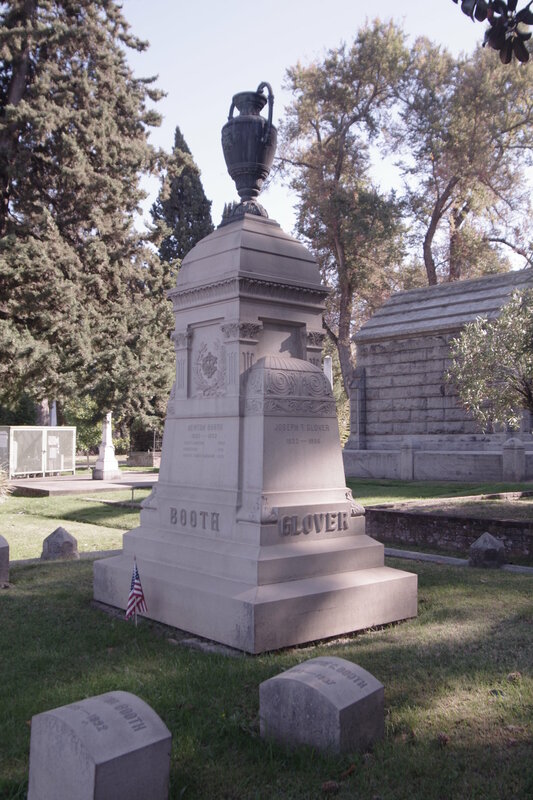 Numerous group plots honor members of the Pioneer Association, Masons, Independent Order of Odd Fellows, Volunteer Firemen, the Improved Order of Red Men, the state government, Donner Party survivors, Civil War and other military veterans. 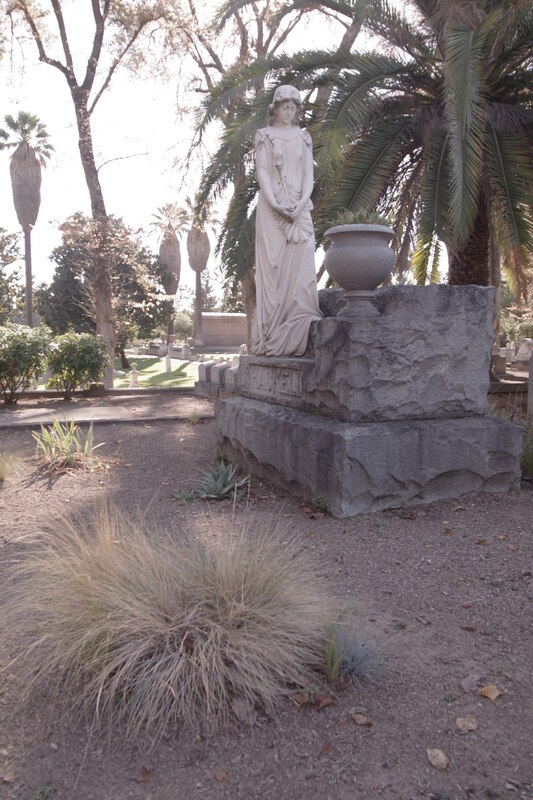 Docent-guided walking tours are offered on some Saturdays (see calendar). 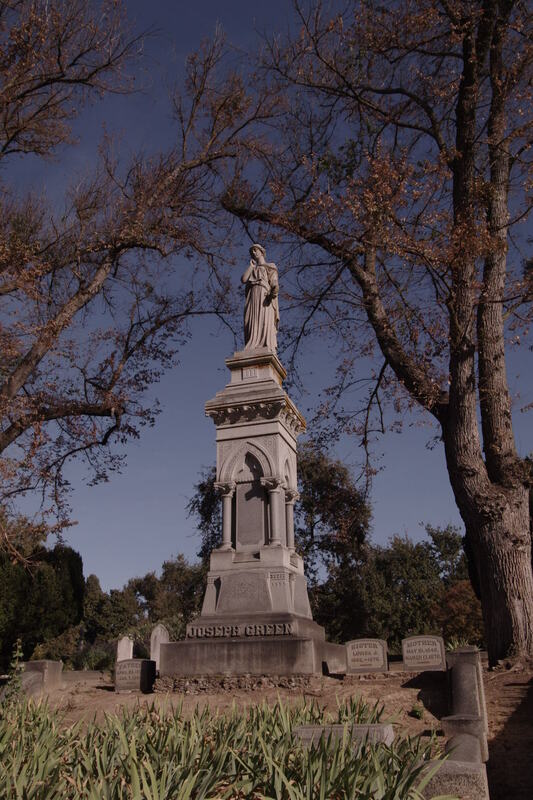 Self-guided tours are encouraged at all open cemetery hours, during all seasons. 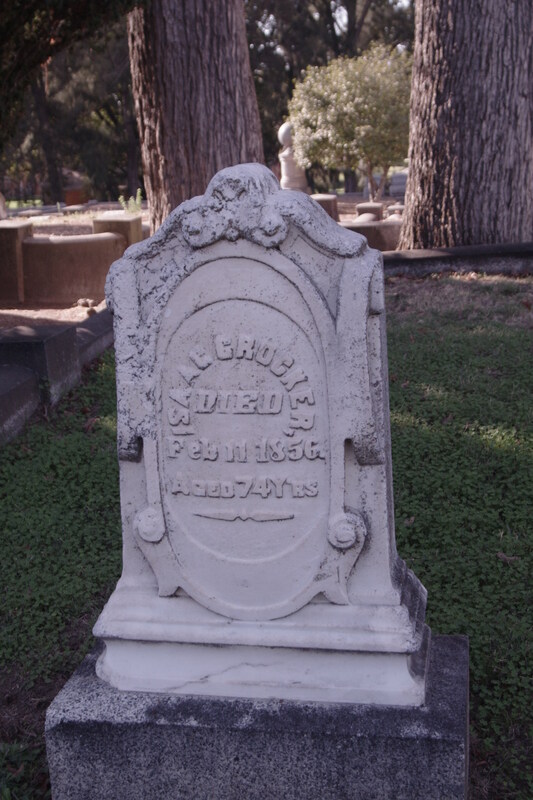 Maps and brochures, including Walking Tour of Medical Pioneer Grave Sites, are available at the Archives Mortuary Chapel. 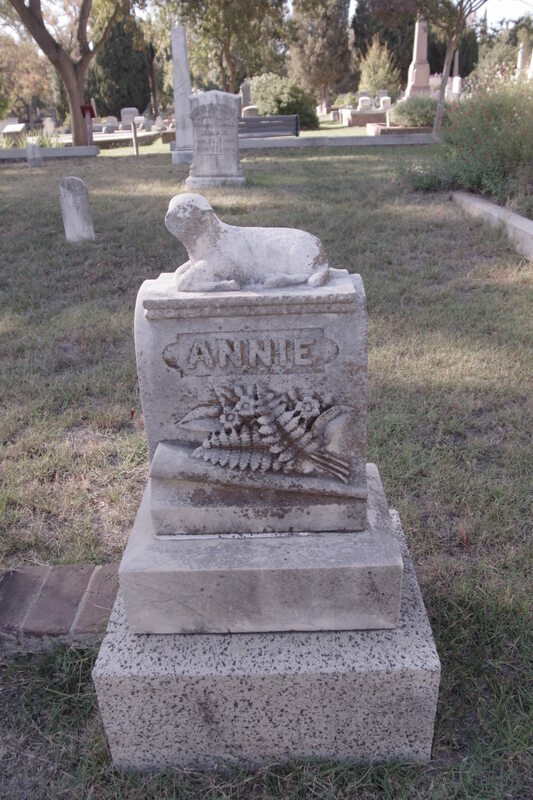 This entry was posted in Ghosts, Gothic, Halloween, History, Parenting, Photography, Poetry, Vampire, Vampires, Victorian, Vintage and tagged beautiful grave stones, cemetary angles, E.B. 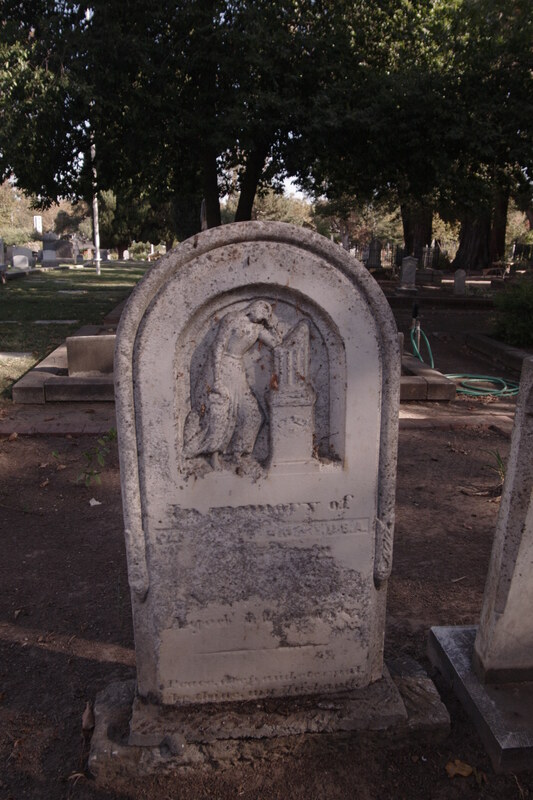 Crocker family plot, grave stones, hauntings, John Hopkins Grave, John Sutter, Little Willie Sleeps, Old Sacramento Cenmetery, parenting, peaceful place, Photos Old Sacramento Cemetery, Sacramento outings, things to do in Sacramento, things to do with teens, vampires. Bookmark the permalink. 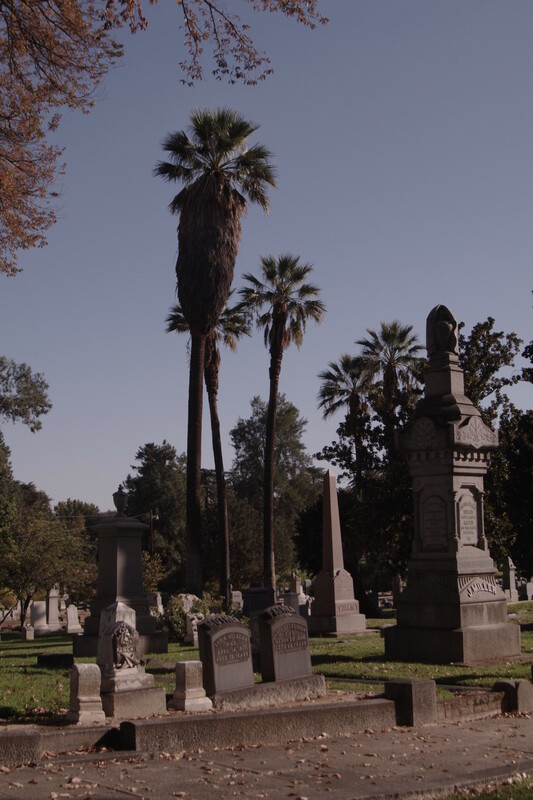 In the 20 years I lived in Sacramento, I’d never gone there. Next time I’m up that way, I think I’d like to wander a bit more. It is a beautiful place. My photos don’t do it justice. 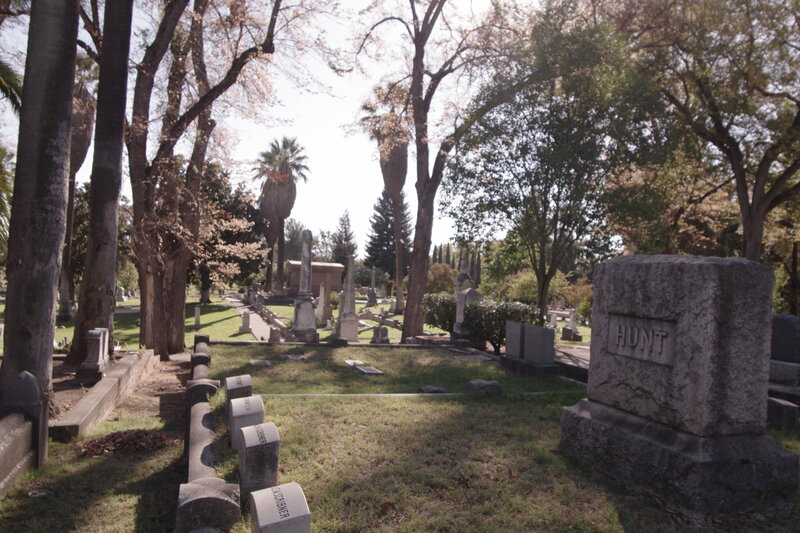 It is right on Broadway – off the freeway, and easy to get to. Just down the street from the Tower Theater.